Below, is a transcript of Bishop John’s Address to Diocesan Synod on 11 March 2017. If you want to download a copy, click here. “The world is a strange place at the moment. Much has been written by me and others about this, much will be written. But today I want to focus inwardly, on those things that concern us and shape us as a church. It has often been said that we are characters in a story. A story that began to be told many centuries ago – in which the main character is God and the main plotline, God’s constancy and faithfulness in the face of the human capacity to mess up. The nature of this God is revealed uniquely in the life, death and resurrection of Jesus of Nazareth, Son of God. This story has been shown and known in different ways across the millennia, but it has always had at its heart a community where faith is nurtured and whose life has evolved as human culture has evolved. Whilst the church as we’ve known it (for the community I speak of is the church, in all its many incarnations and with all its faults) has acquired in our imagination, at any rate, a kind of timeless stability – Sunday worship, a building to worship in, a pastoral ministry that cares for us at every stage of life, possibly also a full time Rector – we know, if we pay any attention to history, that there have always been other ways of being faithful, of sharing the faith, of living the story. Those disciples clustered around Jesus, as we heard in this morning’s gospel reading, arguing about who is the greatest; or the Christians to whom St Paul wrote in Ephesus, reminding them of their diversity and their unity; or a few centuries later, those great figures who helped to root the faith in Scotland, Columba and Ebba, Margaret and Kentigern, for example, experienced the church very differently from how we do. Their lives were different from ours, their world views and expectations of life utterly strange to us. Indeed, they are so distant to us now, we tend to think of them as figures shrouded in the romance of a heroic age. So much so, that the temptation is to imagine an uncrossable chasm between them and us. More than that, the temptation is to indulge ourselves in the belief (a heresy surely) that the Holy Spirit was more active back then. Even though it’s refreshingly obvious in the New Testament that Christians in those times found many reasons to disagree – just as we shall in this synod. Perhaps there is more potential to find common ground in the experience of Christians 500 years ago when, a Europe at odds with itself and shortly to be threatened by invasion from the east experienced both religious revival and religiously inspired terror. 500 years since that symbolic moment when Martin Luther wrote his 95 theses and set the unstoppable force of the Reformation loose. 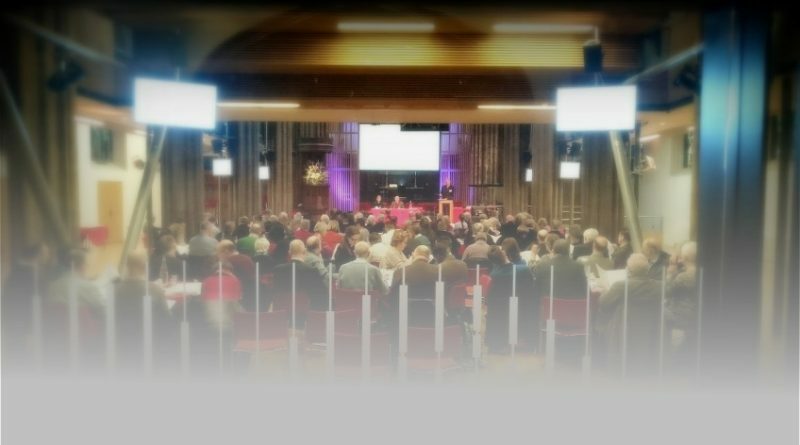 In October, we’ll be holding a day conference not to commemorate something that’s past but to wonder whether the time is right for us, as it was for Luther and his contemporaries, to reclaim once more some of the ancient roots of our faith, and indeed, to consider where our church is already experiencing revival, renewal and reformation. It’s hard for us to get our minds around that, we who tend to become fixated on what the poet Matthew Arnold described as the ‘melancholy, long, withdrawing roar’ of faith and have even persuaded ourselves that this is inevitable and inexorable, no matter what we do. To peer into the tomb, the place of death, as it were, rather than turning around the find the risen Lord. If we believe in the inevitability of decline it becomes a self-fulfilling prophecy because it shapes the decisions we make, it pollutes the atmosphere. It is true that our statistics do tell of churches declining in membership. In Edinburgh diocese, for example, our annual census taken on the Sunday next before Advent, reveals that we have lost just under 11% of our attendance since 1996. Since 1983 we’ve lost about a quarter of our communicants. You would rightly point out that a census taken on the Sunday next before Advent is a pretty blunt way of assessing our health. What about changes in patterns of Sunday church going? What about all the people who attend non-Sunday worship, Messy Church events, enquirer events? This is why the Province will be introducing a new way of gathering statistics to take account of this variety. But we do need to face facts, for given that a number of our congregations have grown significantly since 1983 this means that others have declined more than the percentages I mention. What does it mean to face facts? What it certainly doesn’t mean is that we should sink into despondency. Nor does it mean that we throw everything out and start again. But we do have to look hard at ourselves. For we believe, do we not, that the God active in Paul and Columba and Ebba and Martin Luther is the same God active today? That they and we are characters in the same story, the story of Jesus Christ and his disciples. And if that is the case and we really believe that in Jesus we find something profoundly true, then there will continue to be a hunger for God, God will continue to call people and some of these people will be blessed by what we have to offer if we are willing to be blessed by what they have to offer. Many of us know this from experience; some of us here have only come to faith in recent years. In part we respond to this opportunity by doing well what we’re here for. That is to worship God with the best we have to offer; to demonstrate and invite others to holy living; to be a community in which faith comes alive, not just for us but for others too, not just in what we say but in what we do. But in part too, we respond by seeking out God in this changing world and seeing what new things God is calling us to, what old things God is encouraging us to let go. This means not being afraid we may fail but having confidence that the same God we know and worship is to be found living, active all around us – if we have eyes to see and the courage to join in. We probably have all heard unlikely success stories of new forms of church. At the Provincial Mission Board recently, I heard of a regular service held in a pub in Cumbria attended by 150 bikers and organized by 3 elderly women from the local church. But it doesn’t have to be quite so eccentric. In Moray, Ross and Caithness there is another pub, the Crask Inn, 35 miles from any large settlement, no church buildings, where 30 people from several denominations and none gather monthly to hear the word and receive the sacrament. Or, since we’re on the theme of pubs, I know of at least one Alpha Course and one discussion group in this diocese held in pubs. Or what about the Provincial Youth Camp? Next month at our cathedral we shall host the Province as we celebrate 20 years of the camp. 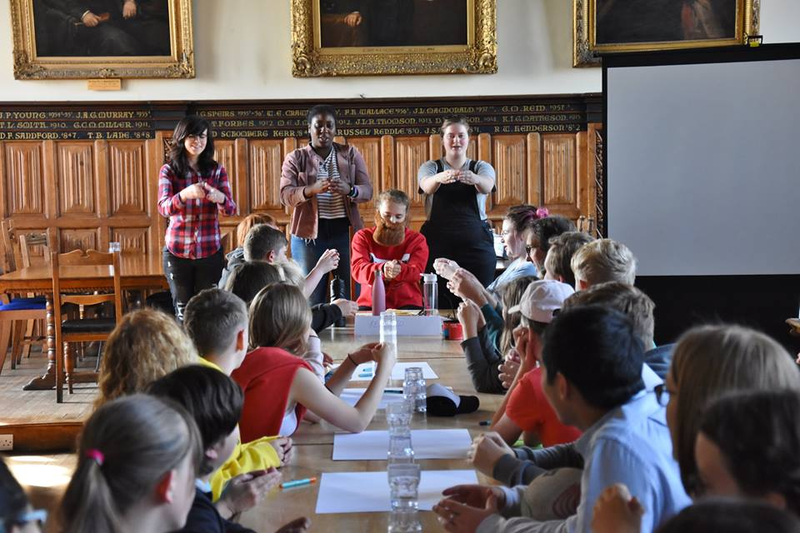 Hundreds of young people for whom faith came alive for them, discovering what it means to enjoy learning and growing in their faith; many continuing, because of the camp, to be part of their local church. But you may have your own story to tell. Examples of where faith comes alive for you and for others because of something imaginative or different your church is doing. Of people who find their way to us and decide to stay because they find something special. No need for pubs or motorbikes. Those things are, after all, incidental to what we’re about as church, namely, that we make it possible for others to join the story, to find life in Jesus Christ, to discover that their attitudes, values, priorities, their lives are transformed when they feel God’s touch and obey the call to love. Certainly, during this Synod we shall hear of several examples that buck the trend of decline. That the Spirit of God is vigorous still; that God is doing something new; that our church is joining in and finding new ways of serving God. And we shall hear how our Mission and Ministry Committee, guided by our Mission Enabler, is offering to the whole diocese an opportunity to reimagine and re-envision our sense of God’s calling. We’re at a time when in order to grasp the new we may have to let go of the old. And that’s hard. What’s crucial, then, is that we act with confidence in God not with fear or resignation. That we renew our longing for God, a God of abundance not scarcity, and renew our love for Christ, ‘who is the first, the last, the living one’ in whom we find our true selves.